Explore the World with the Chamber! 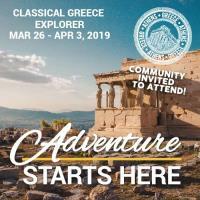 The Federal Way Chamber Travel program heads to Greece March 26-April 3 2019. The eight-day tour features The Acropolis & Parthenon, tours of Ancient Delphi, Corinth Mycenae and Olympia. 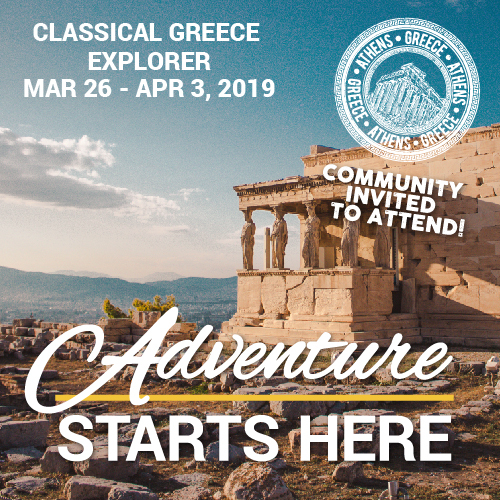 In addition to city tours, the trip includes the legendary Temple of Zeus & Hadrian?s Arch and an exclusive Wine & Olive Oil tasting experience, among so many other trip highlights! The Chamber offers fully escorted leisure tours to destinations around the world. Our professional tour operator, Chamber Explorations, takes care of everything, including air travel, accommodations, meals, and sightseeing. Our Travel Program is open to the community. You do not need to be a member to explore the world with the Chamber, everyone is welcome. Bring friends and family and join us for the information session to learn more about our next adventure! A complimentary wine tasting will follow the presentation.